…Some of the grooms were dangerous career criminals from Albania suspected of murder, drugs trafficking and money laundering. But they won a right to live in the UK because of their EU ‘wives’…The scam, thought to be Britain’s biggest marriage racket, ran on an ‘industrial scale’ for eight years…The racket was uncovered after British police cracked an Albanian drugs and money laundering ring in London. 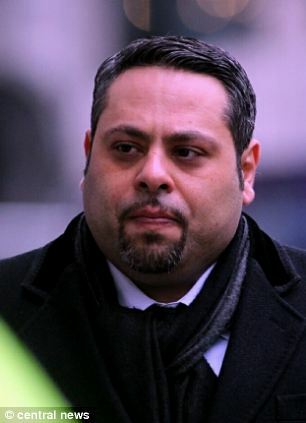 A lawyer and three accomplices were jailed yesterday for arranging 2,000 sham marriages that earnt them £20million. Tevfick Souleiman and his gang flew women into Britain from EU countries in the former Soviet bloc to marry citizens from outside the EU. Most couples met on the day of the wedding and needed an interpreter to get through their marriage vows. Some of the grooms were dangerous career criminals from Albania suspected of murder, drugs trafficking and money laundering. But they won a right to live in the UK because of their EU ‘wives’. The scam, thought to be Britain’s biggest marriage racket, ran on an ‘industrial scale’ for eight years. Jailing the gang for a combined 35 years, Judge John Bevan QC said their enterprise had been ‘an attack on the institution of marriage’ that drove ‘a coach and horses through the immigration rules’. Souleiman, 39, was jailed for ten years, while his immigration adviser colleagues Cenk Guclu [Albanian], 41, and Furrah Kosimov [Uzbek], 29, received nine-year prison terms. Zafer Altinbas, 38, was jailed for six years and nine months. The Old Bailey judge added: ‘There must, as a result of this case, be scores of people in this country, many of whom will be imposing a wholly undeserved burden on the hard-pressed taxpayer. …Criminals would pay Souleiman GA, a law firm based in North London, around £14,000 to arrange marriages with Eastern European women. The firm created ‘touching love stories’ to make the marriages with men from Albania, Russia, Pakistan and India appear genuine. Brides were flown in each day on budget airlines and then housed in a grim tower block before being taken to register offices across the country. Following the marriages the women would be paid a fee for their time and ordered never to contact their ‘husbands’ again. Most would return to their home countries immediately. Last night a source told the Mail that the scam had allowed ‘dangerous criminals to operate freely’ in Britain. ‘We believe this to be the largest marriage fraud ever committed in the UK,’ the source said. ‘Some of them are wanted for serious crimes in Albania. Others are suspects in murder investigations in this country. ‘These are the type of people who are being allowed to stay in the UK. The defendants, three Turkish Cypriots and one from Uzbekistan, used the money to fund luxurious lifestyles. When London marriage officials grew suspicious about the number of weddings the firm was involved with, the gang simply switched to other parts of the country. In one dossier, Alban Spaho from Albania described how he met his bride-to-be Petya Zlatanska while on a day out with friends in 2008. The affidavit said: ‘We went to a cafe where our friends left us alone to get on with it. 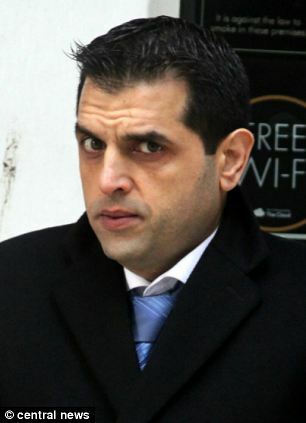 The racket was uncovered after British police cracked an Albanian drugs and money laundering ring in London. 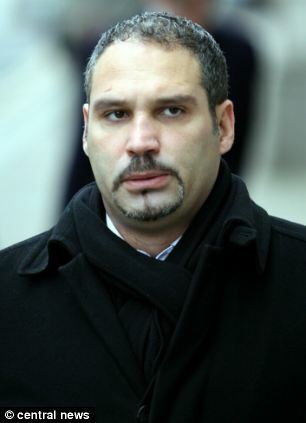 Brothers Behar and Elton Dika had planned to flood Britain with £900million of cocaine, but the ship carrying the drugs was raided off the coast of Spain in 2009. They were jailed and investigations showed their marriages had been arranged by the law firm. Didn’t we just meet another Dika?